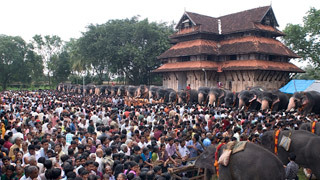 The annual festival at the Sree Kurumba Bhagavathy Temple situated at Kodungalloor is famous across Kerala and is known as the Kodungalloor Bharani. 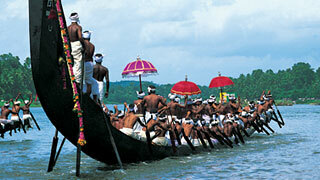 It takes place during the Malayalam month of Meenam (March-April). 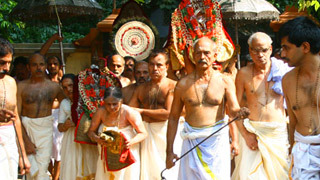 The main event of Bharani festival is the Aswathy Kaavutheendal, held on the day prior to Bharani asterism. 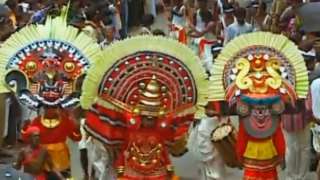 And on this day devotees can witness a sea of red overruns the premises as a flurry of oracles (velichappad) dancing in a trance offer their prayers to the deity. 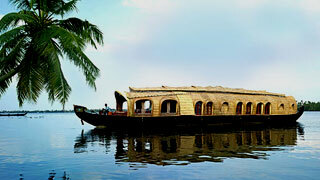 It is a mystical experience for all who have a chance to view it. 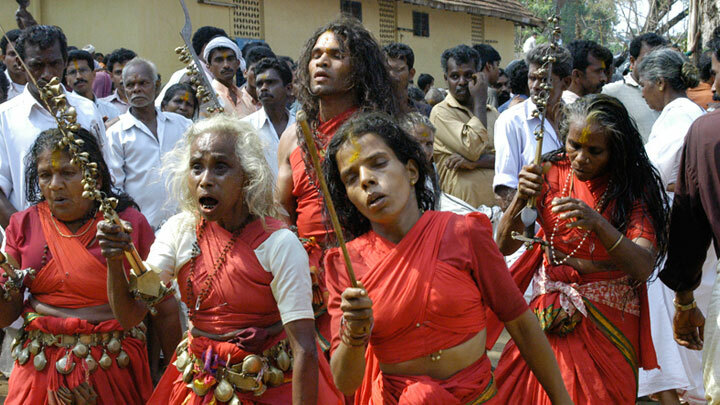 The devotion of the believers as they dance along with the oracles with spiritual euphoria is a truly riveting sight. Oracles, both men and women, dash around the temple and smite their heads with their swords, proclaiming their communion with the Mother Goddess. 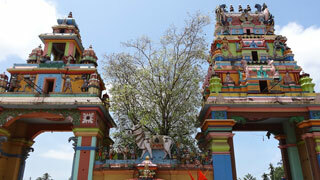 The devotees strike the temple rafters with sticks and hurl offerings over the roof and on to the inner quadrangle. 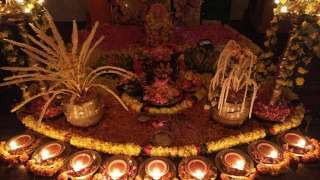 The Bharani festival celebrates the birth of Bhadrakali (Hindu Goddess) who as per legend was born from the third eye of Lord Shiva and was the one who went to finish off the demon Darika. 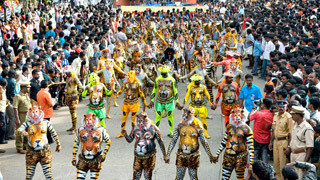 This is an extremely important festival, especially in Northern Kerala. 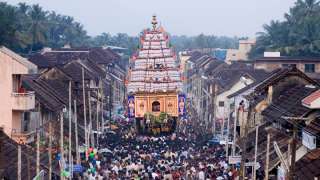 The rituals at the temple are believed to have originated from the ancient ties between Kodungalloor and Thondi; a region under Chera rule that also contained their second capital. 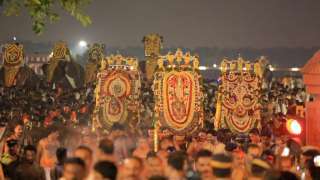 People await these festivities with bated breaths each year. 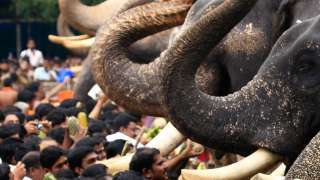 Note: Next year the Kaavutheendal is on 7th April 2019.